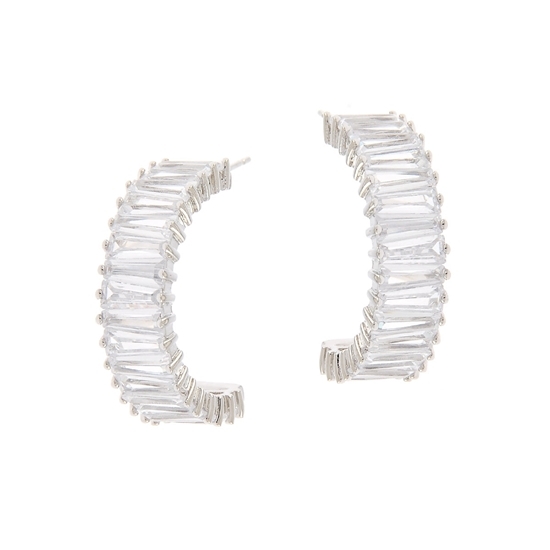 Dial up the glamour when you wear our brilliant "Formal Treatment" earrings. 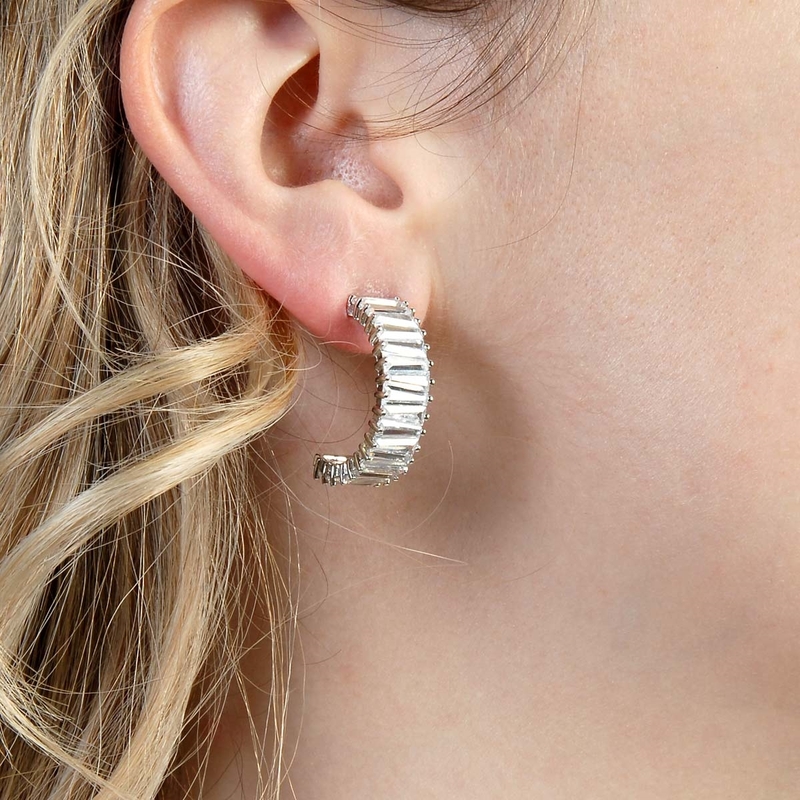 Showcasing dazzling rows of exquisite AAA cubic zirconia and finished in rich rhodium, these stunning earrings were designed to make you look your sparkling best! Sterling silver posts. Nickel and lead free jewellery. Dial up the glamour when you wear our brilliant "Formal Treatment" bracelet. 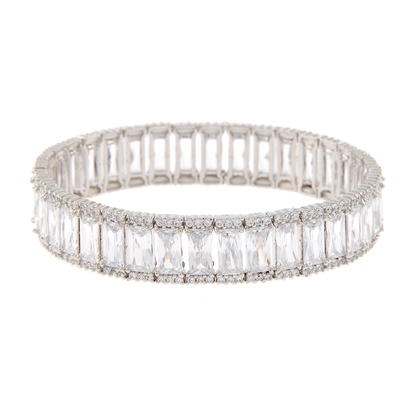 Showcasing dazzling rows of exquisite AAA cubic zirconia, this stunning piece was designed to make you look your sparkling best! 7" stretch bracelet finished in rich rhodium.. Nickel and lead free jewellery.